Defense lawyers often get hate from citizens for defending criminals, however, they play a crucial role in the legal system. The system only works if both the side gets fair representation. 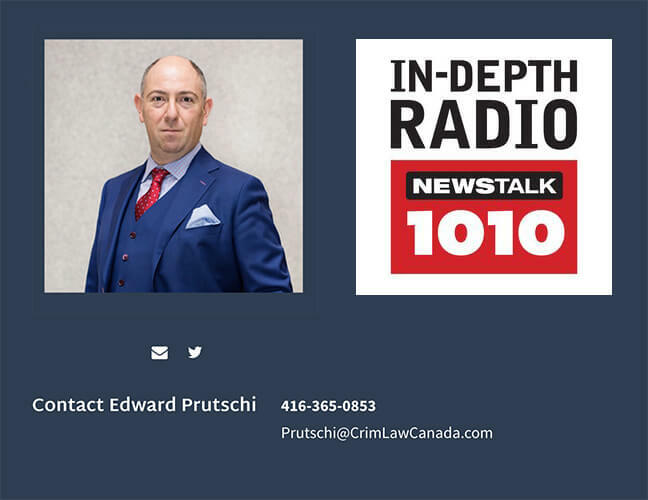 However, Toronto criminal lawyer Boris Byensky discusses a recent case in Ireland that has caused controversy on NewsTalk10101’s The Jerry Agar Show. A defence lawyer in a sexual assault case held up the victim’s underwear, which was lacy, as proof that she was asking for it. The victim was even required to hold it up. A similar case happened in Scotland, where the victim ultimately committed suicide. How far does a defence lawyer have to go, or should go, to help their client? Boris Bytensky believes that defense lawyers have an obligation to go as far as the laws and ethics allow. Bytensky states that the case in Ireland is unfortunate. Attitudes around sexual assault have evolved significantly, and most courts recognize that how a victim is dressed does not dictate consent. The case in Ireland is not reflective of what most criminal lawyers believe or how they act. However, it does show that there is still room for growth.